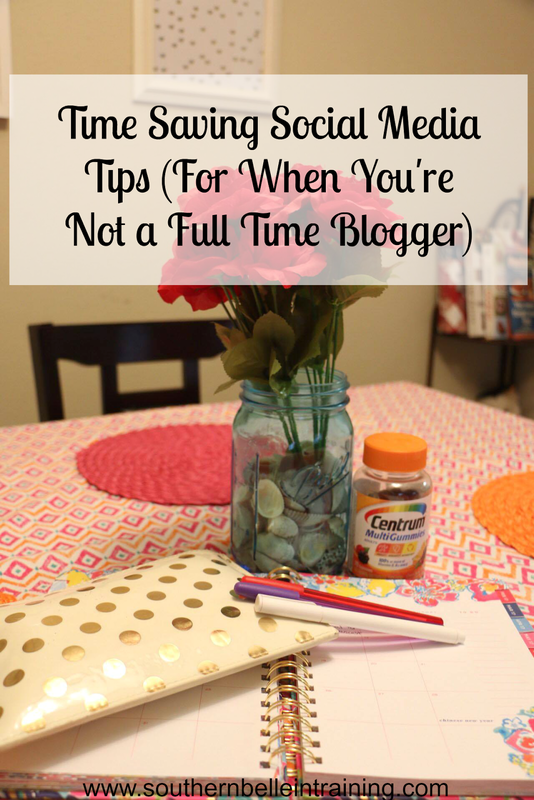 Time Saving Social Media Tips (For When You Aren't a Full Time Blogger). As much as I absolutely adore blogging, I sometimes have to remind myself that it isn't my full-time job right now. I am thankful for the opportunities that blogging has given me in the last few years, and I would love to be able to make it my career someday, but at this point in my life, that hasn't happened yet. 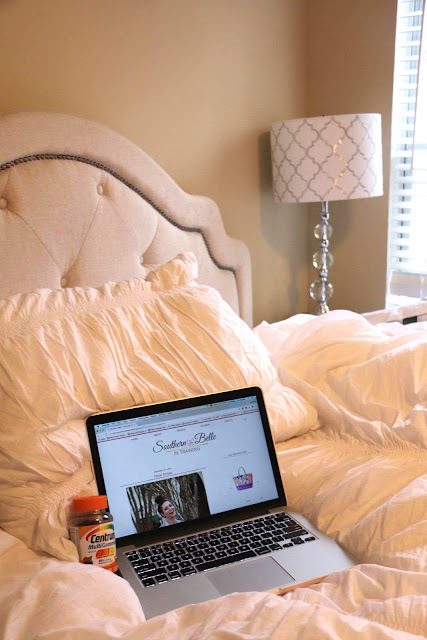 That means that I'm often trying to squeeze in blogging and social media tasks into random chunks of time in my day, to help balance out my schedule and ensure that I can still get everything done for Southern Belle in Training! In today's post, I'll be sharing some of the little time saving tips that I've discovered (many in just the past few months) which have been helping me a lot, and hopefully will help some fellow non-full time bloggers as well. Another key of course is staying healthy- when balancing a blog and other employment ventures, no one has time for sick days! 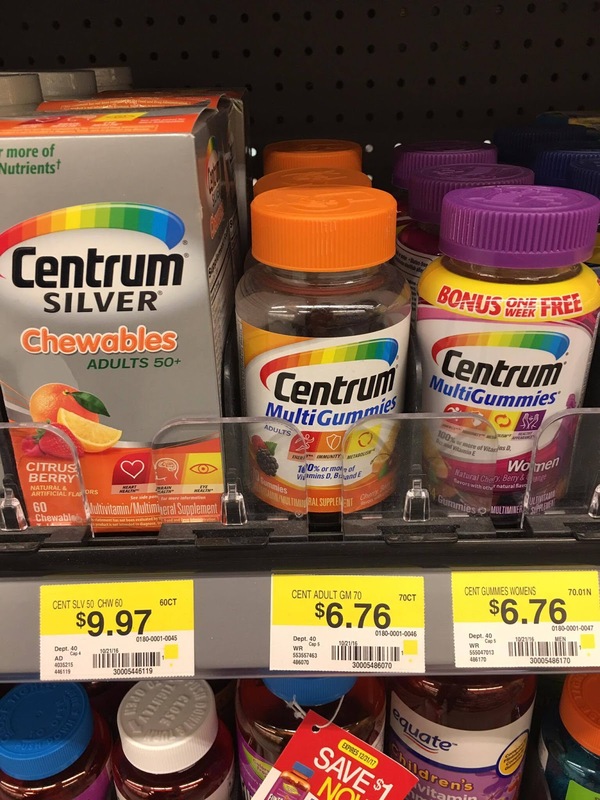 Finding a great multivitamin like Centrum® MultiGummies® is so important in making sure that I stay at my healthiest with all that I do. 1. Engage on Instagram with random time blocks: Out of all the social media networks, Instagram is the one that is probably a blogger's biggest best friend. Everyone wants to have a perfect feed and truly capture their own aesthetic, and the race to have the most followers can seem competitive. The one downside of Instagram is that it can be a huge time waste. Sometimes you go on just to post one photo... and then you get caught up in the wonder of it all- ha! My best advice is to engage on Instagram with little random chunks of time that you have throughout your day. Over a lunch break? Like the photos in you feed. Waiting for a doctor's appointment or meeting? Catch up on some commenting. In a commercial break for your favorite TV show? Use your favorite hashtags and find some new accounts to interact with. All of these activities have time limits on them, so that way you aren't spending more time than you planned on Instagram, but you're still being present and engaging with the platform! 2. Find an editorial calendar method that works for you: I talked about this in one of my recent Midweek Ramblings + Recent Purchases posts. All bloggers should be using some sort of an editorial calendar method, even if it's just for keeping track of sponsored posts and product reviews at the very minimum! For most of the last year, I used a special agenda for my blog. It worked well when I was in college, but after graduating that method didn't work as well for me anymore. I discovered that using iCalendar between my phone and laptop actually worked the best for me! I love how you can set event reminders, and that especially helps me remember which blog posts to prioritize writing and prepping during busy weeks. But if you're a blogger with a busy schedule- test out some different editorial calendar methods, find the one you like best, and then stick to it! 3. Motivate yourself to still be active on social media platforms that aren't your favorite: Every blogger has their favorite social media platforms. Mine are Instagram and Snapchat! It's not trouble at all for me to maintain an active presence on both- so little trouble in fact that during my work and school days I have to make sure to shut off those apps so that I can get work done, haha! But with some other types of social media, I'm not as good as using it regularly for my blog. Pinterest would be the best example for me. I love using Pinterest for personal reasons, but my blog boards could definitely use more consistency in updating. When blogging isn't your full time job, it can be easy to focus the limited time that you have for social media to the platforms that you love and prefer. But you have to remember that the most successful bloggers are active on all social media! Going into 2017, I'm trying to do a much better job of updating my blog content on Pinterest a few times a week. 4. Use social media scheduling tools for Twitter: A major downside of Instagram is that it still doesn't let you schedule posts via third-party applications. However- you most certainly can schedule tweets for Twitter! This is something that I'm trying to get better at. I tried using Hootsuite for awhile but couldn't really find my groove with it, but recently I joined Buffer (they do have a free plan, but premium plans are fairly affordable as well) and I'm loving the tweet scheduling tools for promoting blog content! Such an amazing time-saver. Find a scheduler-tool that works for you and go with it! And as I mentioned earlier- when you're balancing both blogging and either working or full-time student life (or maybe even all three of those things? ), staying healthy is simply essential. 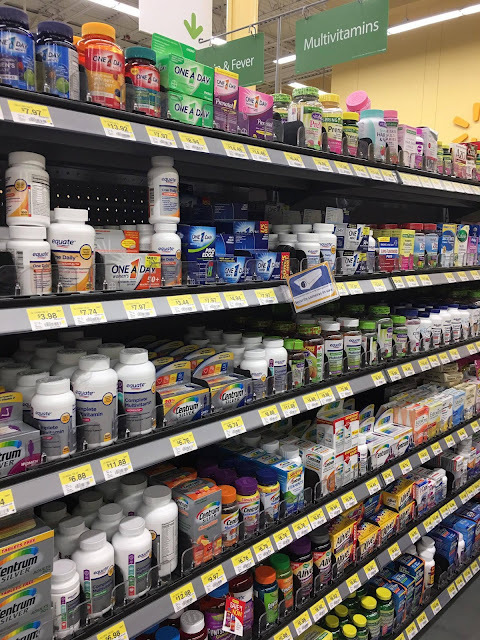 I've made sure to make taking a multivitamin apart of my daily routine! 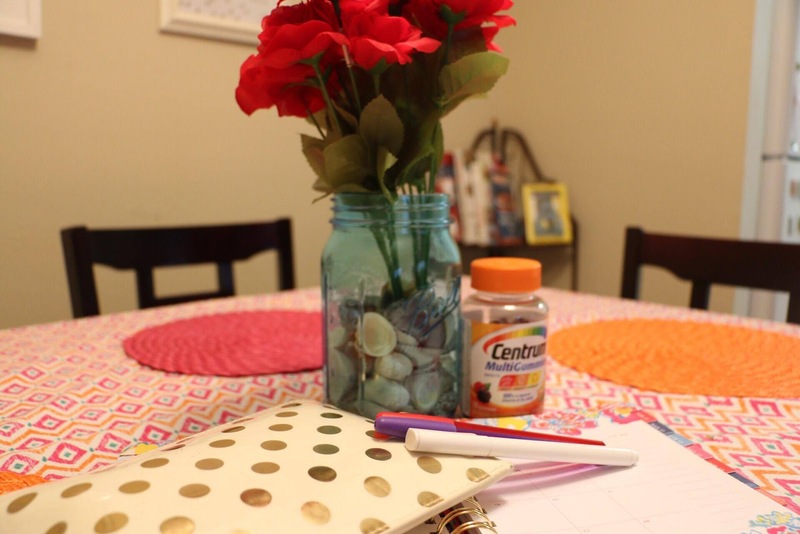 Centrum® MultiGummies® makes it easy for me to support my health while enjoying a busy lifestyle like mine. These multi-benefit multivitamins include 100% or more of essential nutrients, Vitamins B12, D, and E. B-vitamins help support daily energy needs, and antioxidants such as Vitamins C, E and Zinc help support normal immune function. * Centrum® MultiGummies® are so easy to find at your local Walmart. How do you balance blogging and social media responsibilities if you're not a full-time blogger? And have you found a multivitamin like Centrum® MultiGummies® that works well with your busy lifestyle? I totally agree with these tips! I'm wanting to grow my blog in the upcoming year while still working (at least part time) AND I'm the new Social Media Coordinator for my church. Scheduling posts and social media is absolutely key in getting things done!! Such great tips! Scheduling apps such as buffer and tweetdeck have been a life saver for me!! These are great tips girl. The past few months have been really hard to balance my full time job and blogging have been a mess. Sometimes I have to remind myself that it's okay to miss a day of blogging but it's not okay to let go of the other responsibilities in my life. Silly I have to remind myself but we all put so much time and energy into our blogs it's hard not to get stressed occasionally. I try and schedule as much as humanly possible! It helps so, so much! I love this post! I definitely need to have a better focus on all my social channels. Scheduling tools would make this so much easier for me! Gah! I need to get better at this. I'm so all over the place with scheduling haha thanks for the tips! Fantastic tips! Between blogging and a full-time job (in social media, haha) I can get easily burned out with my own social media. Thanks for sharing!